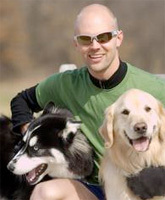 The following is my interview with Jeff Graves, founder of KC Dog Runners in Kansas City. KC Dog Runners is Kansas City’s first and only dog running company, and Jeff and his team of runners take dogs on running and walking sessions throughout the Kansas City area. They also offer a pet sitting service and a yard cleanup service. Jeff has been using Mendota Slip Leads from dogIDs to run with his clients’ dogs, so I wanted to ask him a bit about his business and why he prefers this product. 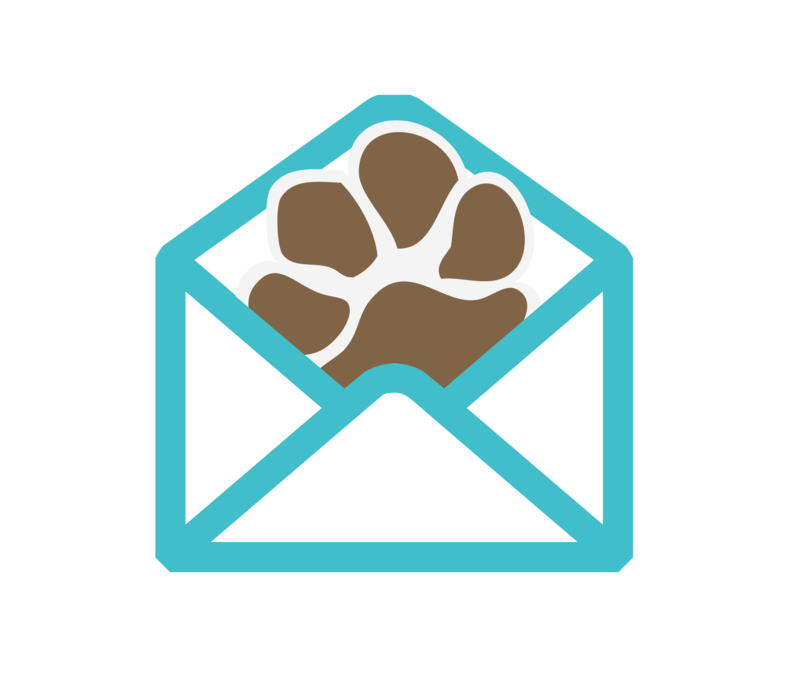 Why did you decide to start KC Dog Runners? After six years of an office job, I realized I was cut out for something different – something physical, something active, something entrepreneurial, something outside! This is what I landed on, and I have not looked back once. 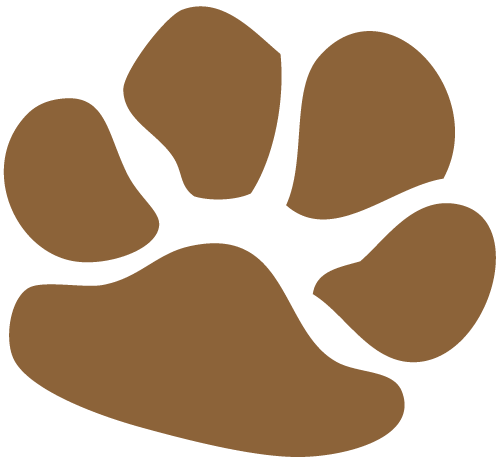 How many dog runners does your business have? We currently have 20 part-time staff members. Why is it important to have the right collar and leash while running with a dog? When I am out with the dogs, I’m concerned about safety and not having my dogs get loose, ever. With collars, one of the biggest things I see are collars that are too loose. If a dog wants to get out of a loose collar, he can, quite easily. Another problem is some of the collars with plastic, clip-type buckles. Plastic is not the strongest, most durable material out there. If there happens to be a small crack in the clip and your strong dog decides to lunge after a squirrel, that plastic clip could give way. Then you have a loose dog. 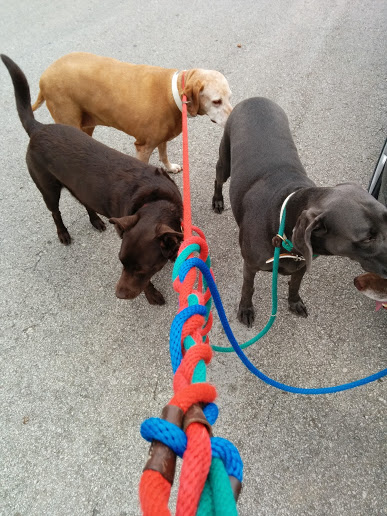 Leashes, not quite as important, but they should be comfortable, durable and long enough. You want enough leash for both you and your dog to have room for your running stride without bumping into each other. Most six-foot leashes are adequate for this. Four-foot leashes are too short in my opinion. What do you like about the Mendota slip lead? After much trial and error with different products, I’ve settled on the Mendota British Style Slip Lead custom made to 7.5 feet. It ends up being just over 6 feet for most dogs because part of the length makes up the collar. These leads are fast to get on and off, secure and durable. 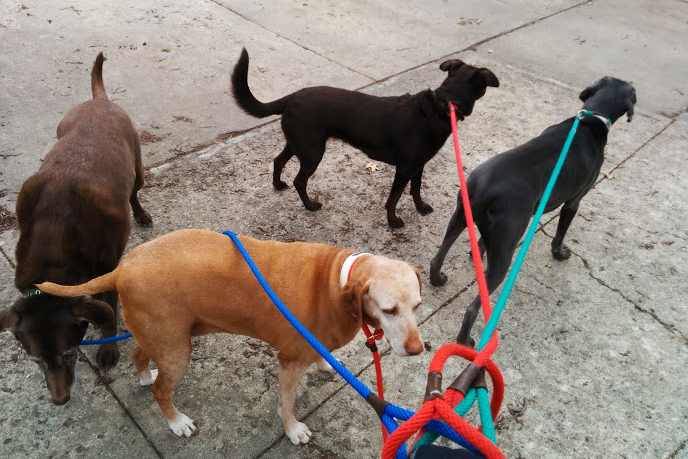 Walking and running dogs all day, I do not want to be constantly messing with clip leashes and client collars. With this lead, I just loop and go. As long as I have a hold of the leash, dogs will not get out of it. I have found it is important to use the leather slide, especially if you are tying the leash and dog to a stationary object where tension cannot be applied by you. They are durable. I have had a yellow Lab chew through one of my thick leather leads in 10 seconds. These have stood up to puppies chewing on them constantly, all weather conditions with no special care given to them and the aforementioned yellow Lab! Would you recommend the Mendota slip lead to other people who run with their dogs? Yes, I would highly recommend these leashes as well as buying from dogIDs.com. Chuck has been a great person to do business with over the past few years. Plus, Mendota has a ton of different options, including martingale leads if people do not like the straight-up slip lead. But, people should not worry about using a slip lead. You are not using it as a training aid or for corrections. It keeps them safe and secure. The muscles in dogs’ necks are so strong. You won’t hurt them under normal use with this leash. Do you have any other tips you’d like to share about running with a dog? Pay attention. You never know when your dog will decide to dart in front of you or run into you and trip you up. It’s not fun to bite the dust because something spooked your dog, and he trips you up. Use a gentle leader if your dog is too strong for you. Just run – you will both be better for it. Do any of you run with your dogs? What type of leash and collar do you prefer for running? Also, check out our post on how to run with a dog. Previous articleWhen Can a Dog Be Left Loose in the House? 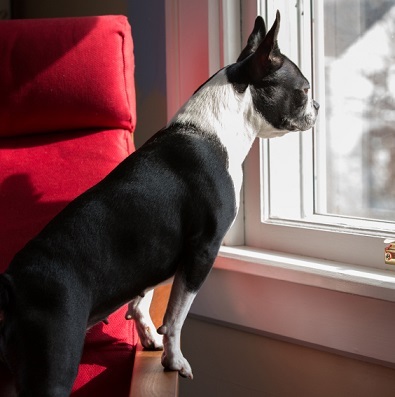 When Can a Dog Be Left Loose in the House?